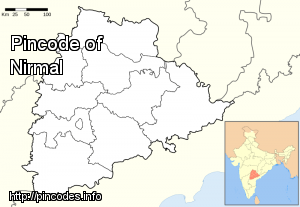 Nirmal is a Municipality with 36 Wards in Adilabad district in Telangana, India. It is the Political Headquarters of the district with a history of 400 years. The name Nirmal is derived from one of its famous 17th century rulers, Nimma Naidu. He was a great patron of the arts, encouraging the art of toy making out of teak and poniki, a unique tender wood, which flourished in his time bringing significance to the town. Toy making is a small-scale industry in the town. 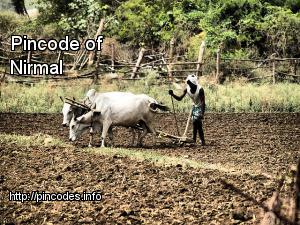 Nirmal is located at 19.10°N 78.35°E﻿ / 19.10; 78.35. It has an average elevation of 340�metres (1100�feet). Syed Shahezadi, a former ABVP leader, hails from Adilabad in Telangana. Adilabad in Telangana on Friday recorded the highest maximum temperature of 43 degrees Celsius in the state.